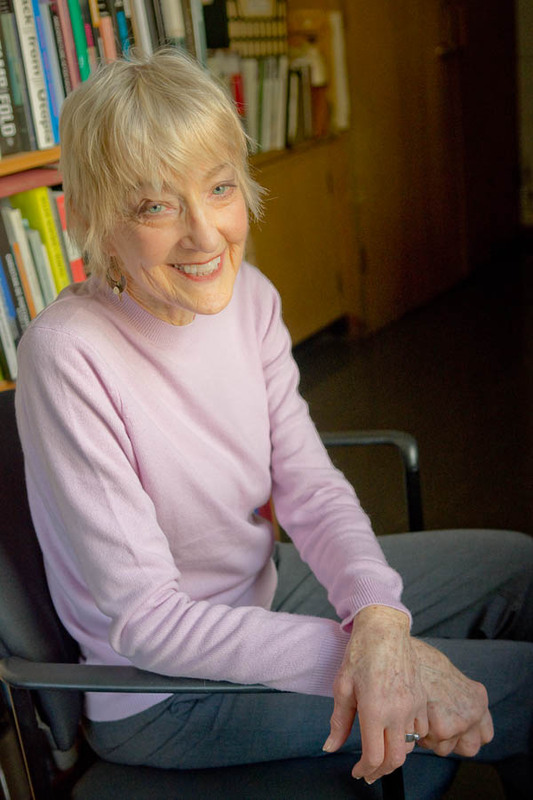 Meredith L. Clausen is a professor in the departments of Art History and Architecture where she has taught architectural history since 1979, with occasional quarters at Stanford, among other places. Her dissertation was on the Samaritaine, a turn-of-the-century department store and one of the first exposed steel framed buildings in Paris on the Right Bank of the Seine, currently being renovated by SANAA Architects. Her research pursuits have varied widely: the department store as a building type; the origins of the regional shopping center; the life and work of the Italian-born, American-based architect Pietro Belluschi; the Pan Am Building in New York; and Michael Graves and the controversial postmodernist Portland Building in Portland, Oregon. She has also done work on women in architecture, architectural criticism and the career of Ada Louise Huxtable, on the Case Study Houses architect Craig Ellwood, and the Tour Montparnasse in Paris. Her current interests focus on Le Corbusier’s early years in Paris, Paris in the 1920s, architecture and the Salon d’Automne, and the contemporary Parisian architect Christian de Portzamparc. Although, with the exception of a book review of contemporary architecture in China, she has not published in that area, but her research interests extend to Asia and the Middle East, especially the work of Koolhaas, Stephen Holl, Gehry, and other contemporary architects in the Far East. In addition to her involvement in the Society of Architectural Historians, Clausen is also active in the EAHN, the European Architectural History Network. She has developed an online database of copyright-controlled images of cities and buildings across time and throughout the world as a multi-disciplinary resource for students, faculty, and others in the academic community. Begun in 1996, the Cities and Buildings Database has grown steadily with contributions from other faculty members and students, and it includes a wide range of images from remote regions in Russia, Tibet, Nepal, Indonesia, Burna, Hong Kong, Cairo, as well as the more customary European and American sites. It is a resource available to anyone free of cost with access to the Web for use in academic pursuits. Her books include a chapter in The Samaritaine: Palimpsest of Paris, ed. by Jean-François Cabestan, Picard, Paris (2014); The Pan Am Building and the Shattering of the Modernist Dream (2005); Pietro Belluschi: Modern American Architect (1994); Spiritual Space: The Religious Architecture of Pietro Belluschi (1992); and Frantz Jourdain, Art Nouveau Theory & Criticism, and the Samaritaine (1987). She has also published numerous articles, in the JSAH (Journal of the Society of Architectural Historians), Casabella, American Historical Review, Architectronic, and the Encyclopedia of Architecture, Design, Engineering and Construction, among others.